What feels like forever ago Just over a week ago Ian and I spent four days in Santa Barbara...in an Airstream trailer. This amazing getaway was for our 10 year anniversary. This amazing find came about after I discovered that nice hotels in Santa Barbara during the summer run $800 and up a night. So I started looking around for some other alternatives and came across Santa Barbara Auto Camp. I thought Ian would think I was crazy, but he didn't and we booked our trip. 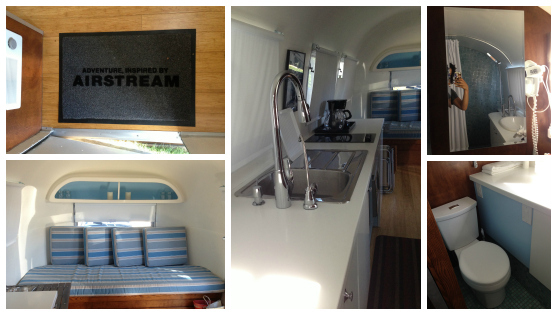 Only a couple weeks after booking our trailer, SB Auto Camp was featured in Sunset magazine. Then I knew it was legit! I felt like staying here was the best of both worlds - camping and hotel staying. We had our own little outdoor area and it was so nice to sit outside and drink our coffee in the morning and relax outside at night...complete with little lights in the trees! It also had a full size, real bed with a large tv (and cable!) at the end of the bed. The bathroom was amazing with a real toilet and a beautiful shower. And there was a small kitchen, stocked with coffee and everything. Didn't I tell you it was great? Oh and I should mention it had free wifi which is pathetically really important to me. Now about our trip. We had an amazing time. Ian and I loved just being able to do whatever whenever and we didn't stress about anything. There's a two hour wait at the restaurant we want to go to? Not a problem! It was great. We enjoyed lounging around, eating great meals in peace, going to too many coffee shops, hiking and more. Like I said, amazing. Of course, I was still constantly texting my mom to get updates on the kids. 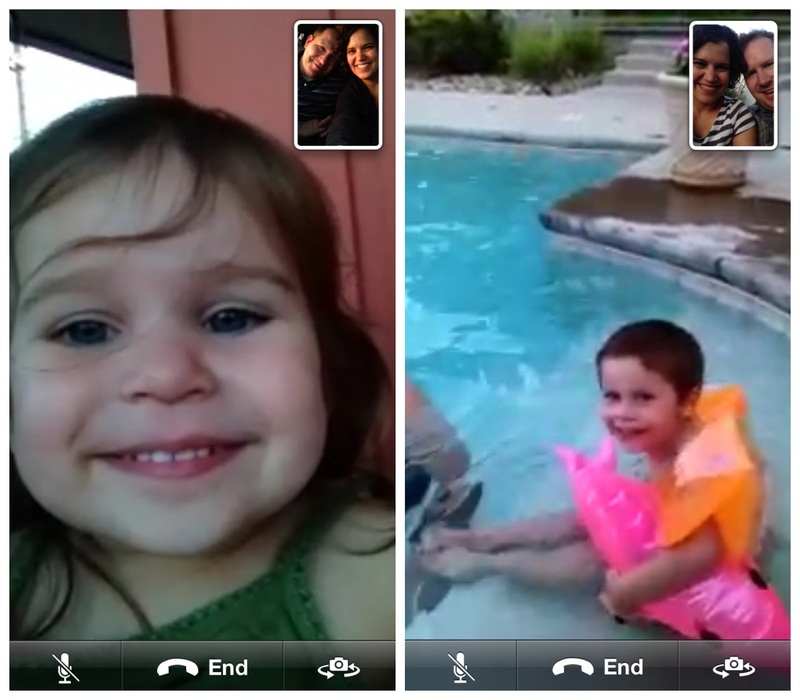 And every evening we facetimed with the kids. Aww, modern technology. It really does make things easy. This was the first time Isla has really gotten into facetime and it was cute. And Connor just kept asking where we were, before dropping the phone and running off to play. With my kids, it felt like getting them to talk to us for just a minute or two was a win. But still, seeing their smiling faces made being away from them so much easier. The next time you are looking for a fun and easy getaway, I highly recommend SB Auto Camp. I even think it would be fun for us to take the kids back there...camping without any of the fuss is a win in my book! And Santa Barbara, who can say no to that?! Love FaceTime, it is so nice while away! Sounds like a great time!! That place really does look fun!! You're so smart!!! What a cool way to save money. Sounds like you're better off with the trailer than a hotel room anyways because it's way more interesting. And I'm so glad you got some time off to relax as well as some face time (that picture of Isla slays me! ).